In a country where TV fare typically involves panels of posturing personalities oohing and aahing over each other’s exploits, Japan’s two national NHK channels are a welcome beacon of quality programming. In the past, NHK was often one of the few ways to watch overseas shows in English. These days, however, the Internet and cable channels mean there is no shortage of decent programming options. Even if you never watch its channels, though, NHK is still keen to have a relationship with you: It wants you to pay licensing fees. Just got the bum’s rush from an NHK salesman who wanted me to swipe my card on his little machine for back payment of about ¥300,000. I told him the fee was a guideline and not a law, but I am living in the past. 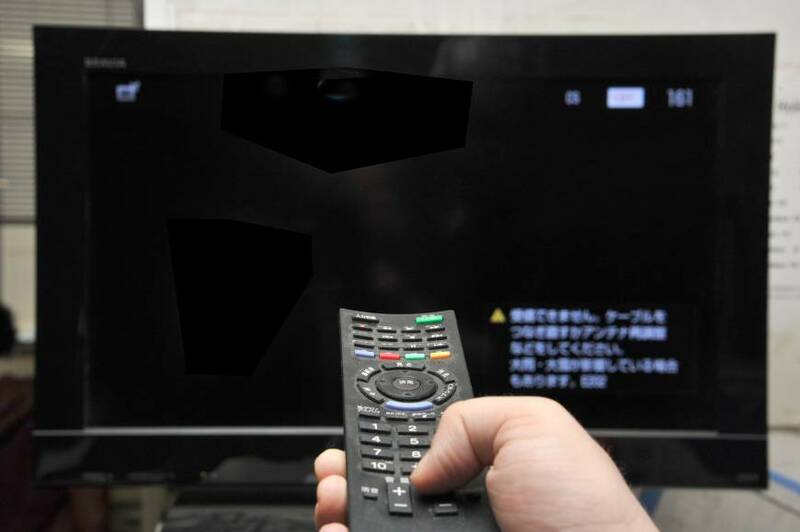 Kanagawa recently decreed that if you have anything that can receive a TV signal, you’re obligated to pay. He said if I didn’t swipe the card immediately, he would come back for my ¥300,000 tomorrow, but there’s no way I’m going to pay for the last 10 years of not watching NHK. Does anybody have any suggestions? An encounter like this would be a shock to anyone, but the law is actually on NHK’s side, and has been since 1950. According to Article 64 of the Broadcast Law, anyone with a device capable of receiving NHK programming is required to enter into a contract with the company and pay fees to support it. While this generally applied to TV sets when then law was passed, it now also covers car navigation systems and TV-equipped cellular phones. Only one fee is charged per household regardless of the amount of devices. While the law has been the same in all areas of Japan since 1950, Kanagawa Prefecture, where Bill resides, drew national attention in May last year. 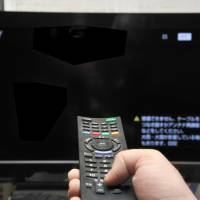 The Yokohama District Court ordered a household to pay more than ¥100,000 in back fees to NHK in the first case of its kind. This may or may not be one reason why the NHK salespeople in Bill’s area are particularly pushy, but ¥300,000 is a heck of a sum to be asked to pay. I took Bill’s story to the NHK PR department and asked for comments. The spokesperson reiterated that paying the fees was the law and that it applies across the board to all residents, regardless of nationality or if the resident actually watches NHK or not. Their only advice in Bill’s case was to point out that the back fees could be paid on an installment plan, not all at once. I asked if there was some kind of amnesty for people like Bill if they immediately signed a contract and started paying fees now, but apparently the back fees still apply. So perhaps the question is, if you continue not to pay your NHK fees, what can NHK do to you? Technically, nothing at the moment, as there is no penalty for not paying, but cases like the one in Yokohama might increase in the future. If you sign up to a contract with the company, then you are committing to paying the fee until you depart Japan or depart this Earth, whichever comes sooner. If you have so far evaded the fee, then there is probably nothing NHK can do about it as of now. Just be aware you are actually breaking the law. For more information, visit NHK’s English website at pid.nhk.or.jp/jushinryo/multilingual/english/index.html. Or call the Tokyo Licensing Center’s hotline (Japanese only) at 0120-151-515. Kiwi Louise George Kittaka has been based in Japan since she was 20. In the ensuing years she has survived PTA duty for three kids in the Japanese education system and singing live on national TV for the NHK “Nodo Jiman” show, among other things. Send comments and questions to lifelines@japantimes.co.jp.